Buyer's Blog From first time home buyers, financing, and home inspections, here are the things you need to know to make your best move. 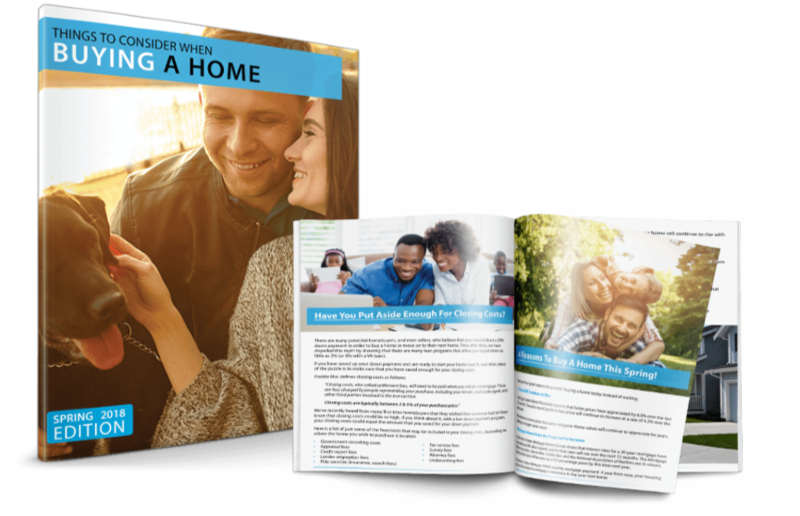 FREE e-Guide "Things to Consider When Buying Your Home" Delivered instantly to you. Are you in the beginning stages of considering a move? Here is a helpful guide to get started. No strings attached!